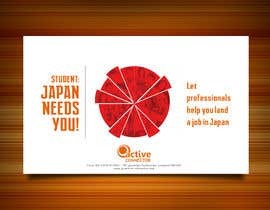 We are a company that helps Foreign students and professionals find employment in Japan. 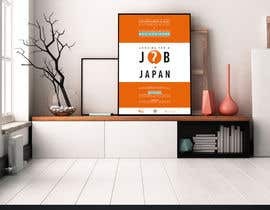 The service is free for the candidates and we also provide support for them such as Resume tweaking (Eng and JP), Interview practice, events etc.. 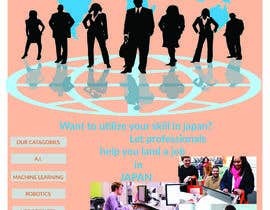 The partner companies we work with are trying to globalize their business's and thus are looking for global talents. 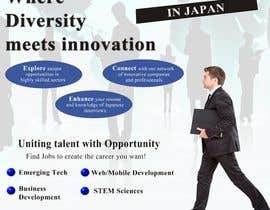 The main industries that we work with are; all the IT fields (A.I,Machine Learning, Web development, Server-side engineers, iOS/Android developers etc..), Robotics, Mechanical engineering, Life sciences and a few Business related positions. 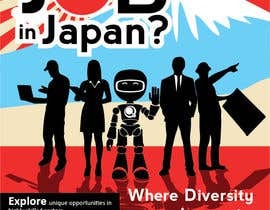 Our Vision is to become the bridge between foreign talents and Japanese Companies. 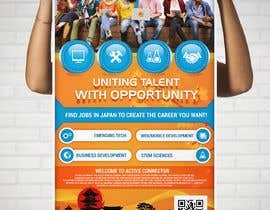 We would like to provide a platform for foreign students and professionals to showcase their abilities and connect them with companies who are looking for their skills. We need something that stands out but is still professional. 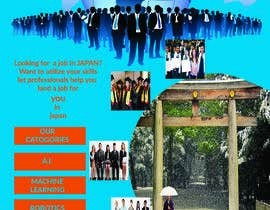 The design should encourage foreign students and professionals to not be afraid to apply for work in Japan in their field of expertise. 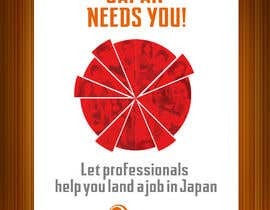 To use the opportunity that we provide for them to meet and learn more about their industries in Japan. That we will be with them throughout their job hunting process. 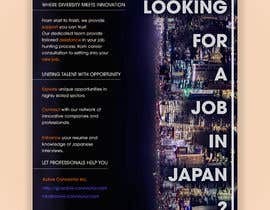 experienced consultants with various backgrounds, all either native or fluent English speakers, with rich understanding of the Japanese job market. 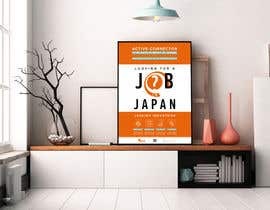 Most important message we want to deliver: we can help them secure a job in Japanese innovative companies and also provide surrounding services (all for free) such as CV support, interview support, interview preparation. We also have great events (such as IT events). 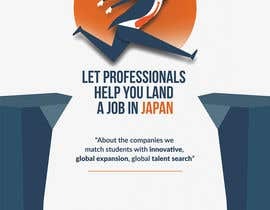 -	About the companies we match students with: innovative; global expansion; global talent search. -	About our main jobs portfolio: IT (AI, big data, drones, etc. ); engineering; life science; business. 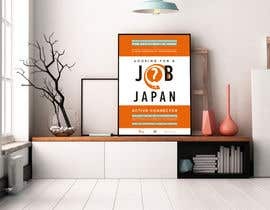 -	About our jobs pool: not always Japanese required; entry-level and mid-career level; trendy skills. ・We need to be able to portray what we do at a glance. As many students will walk by the poster. So it needs to be striking and informative at a glance. We would like to thank everyone who sent in their designs! It is greatly appreciated! and also need to know whether you use it in web or print media..
could you please specified your required height & width in centimeters..? We would like to thank everyone for their poster designs! We are looking through them all and will give you feedback when we can. 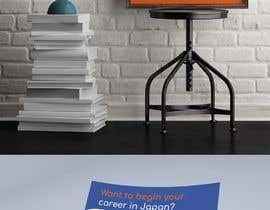 Just one thing that we seem to see recurring in many of the posters is the focus too much on Japan, their traditional culture and famous locations. As many of the people we are trying to reach are already in Japan and have most probably lived here for a number of years. 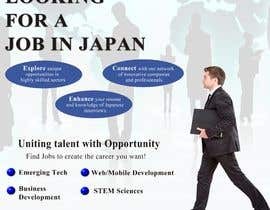 We believe it best to focus on getting the attention of people looking for jobs and services we provide. please check #29 Sir, Thanks! Hello freelancers! The employer is active? Yes, we are here! 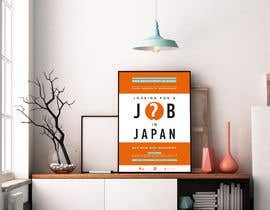 If you are thinking of sending in a poster, please do! We would love to have a look. Hi there i want to know if this is #guaranteed so its worth to put effort on it! Please tell any size of poster you like ? we are looking for either a medium sized poster (41 x 61cm) or a large poster at (61 x 91 cm) Thank you! BIG thanks.. i am on it now. will upload my design soon.